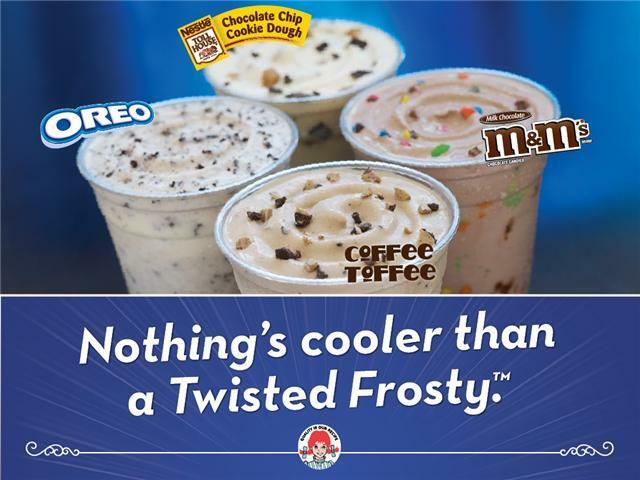 Second Scoop Frozen News: Wendy's Twisted Frosty is Dead! Wendy's Twisted Frosty is Dead! I went to Wendy's today and discovered that my beloved Twisted Frosty is dead! The weird thing is that I just had an M&M twisted frosty maybe two weeks ago. 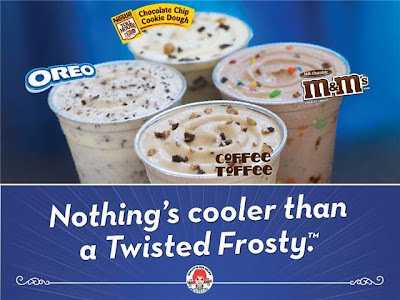 Now you will remember that the Vanilla frosty was introduced in 2006, and then 3 twisted frosty flavors were introduced in 2007. My first twisted frosty post was in 2008. I didn't try the cookie dough one until 2009. I skipped the 2010 coffee toffee frosty, and now that I think about it, I'm not sure I ever tried the Oreo, but that's ok, because Oreo lives on! Welcome the new Oreo Frosty Parfait and his brothers Caramel Apple and Wildberry. 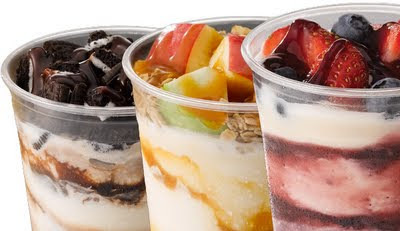 I can't believe we've gone from frosty to fix 'n mix to twisted to parfait. In the new treats' defense, they do look excellent and I will be trying these as soon as I visit a Wendy's with my camera (which I lacked today, sorry!). I know some of you are going "But it's Wendy's!" 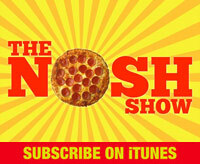 but if the topping are fairly fresh and the sauces true (not artificial), I can totally see these being good. 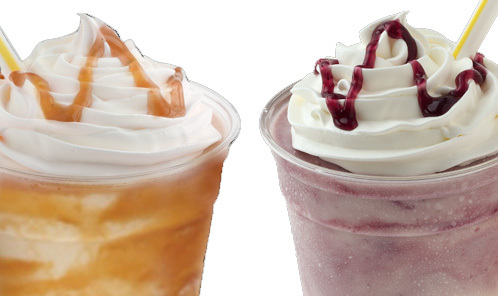 Now to make sure these new ingredients don't go to waste, you can also order yourself up a Wildberry Frosty shake or a Caramel Frosty shake. Hey, if you've got the ingredients, why not offer them up in as many ways as possible. Note: I reaaaaalllllyyyy wanted a wildberry shake with my bacon deluxe, oh why did I deny myself? Sept 2011 Update: Well, the Wildberry Frosty Parfait is already off the menu... though maybe it's just going to be a seasonal product. I guess we won't know until next summer. I tried a new parfait today. Hated it. Does not even compare to a twisted frosty. I will be switching to DQ. Just tried the apple parfait.boo. And I love love caramel. :( why didn't they just add caramel to Her Majesty, the Twisted Cookie Dough?! ?